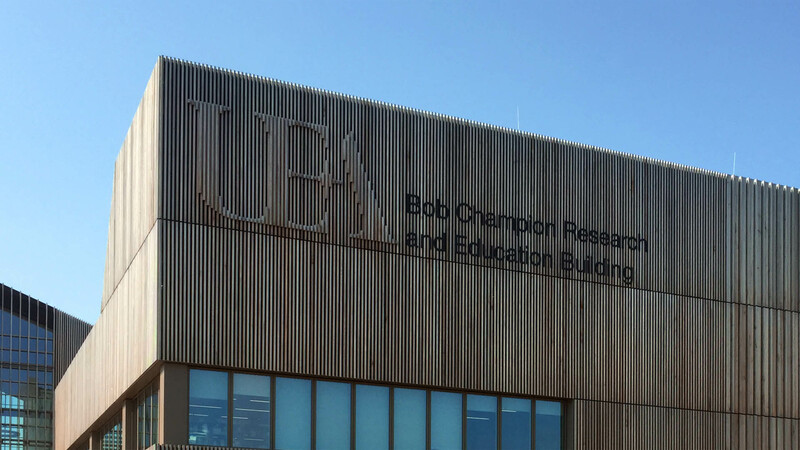 The Bob Champion Research and Education Building is a landmark building funded jointly by the University of East Anglia and the Norfolk and Norwich University Hospital. 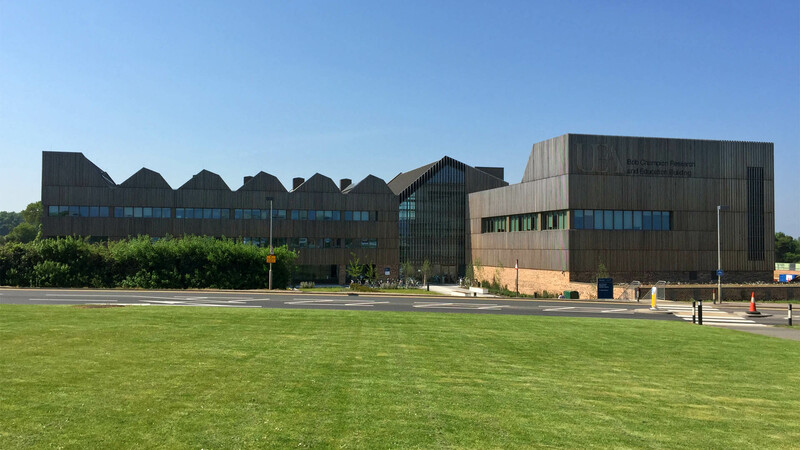 The building provides world-class facilities for clinical research and teaching by both institutions under one roof. The building consists of two linear blocks, connected by a central three-storey Atrium. 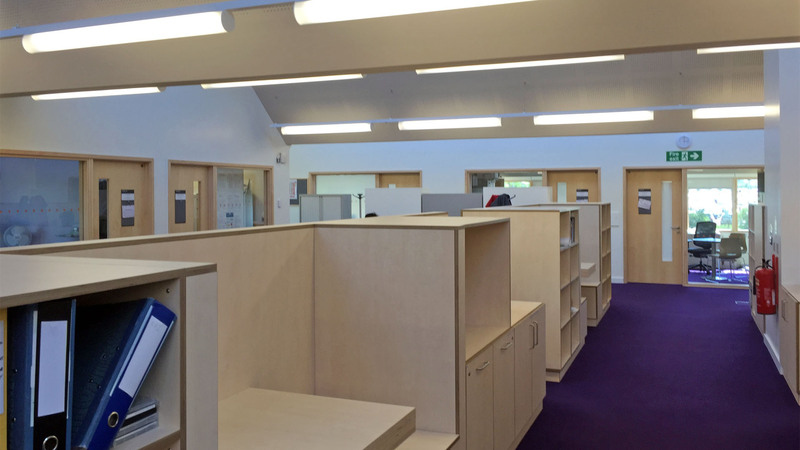 The teaching wing includes seminar rooms and teaching wards on the ground and first floors, with an open-plan research office on the third floor. 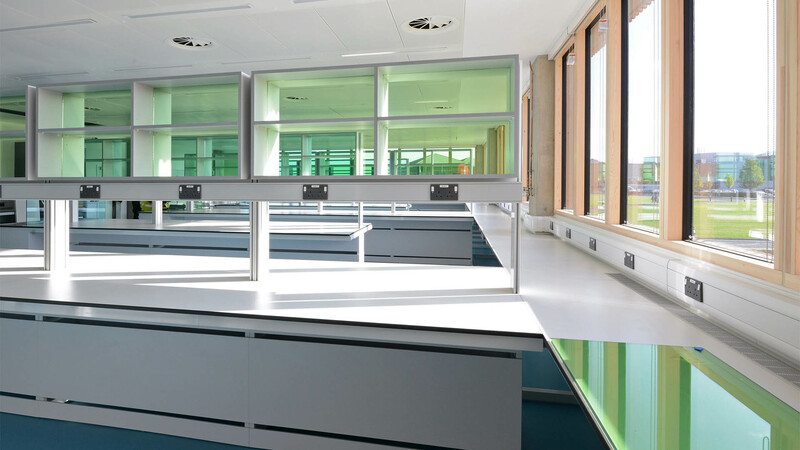 The research wing contains biomedical research laboratories, a large bio-repository facility including a unique bio-bank to store DNA and tissue samples, and a 200-seat Lecture Theatre. 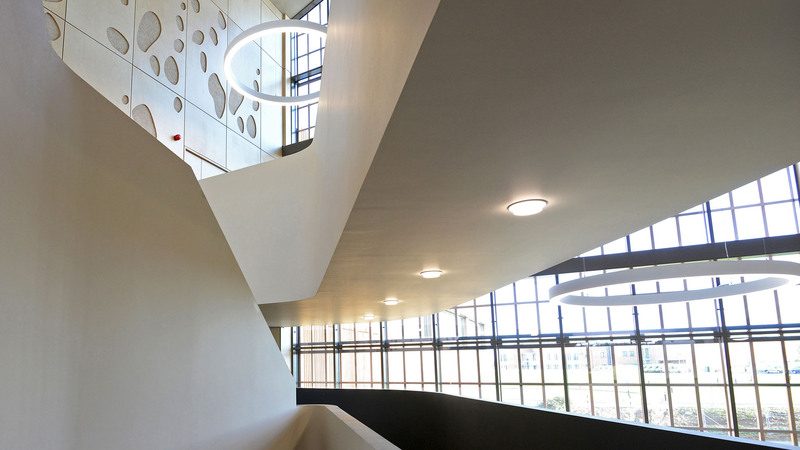 AJA were appointed in January 2013 at Stage C of a design and build contract with the brief to ensure that the building would not only be acoustically fit for purpose, but acoustically excellent. 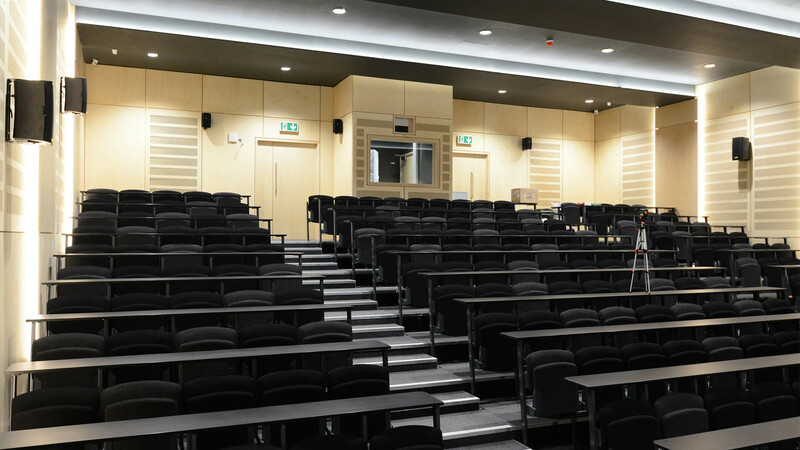 The contractor had rightly identified that the acoustics would be critical to a successful overall result, but until this point acoustics had not been considered at all. Unusually for a design and build contract, therefore, we were encouraged by the contractor to identify quantifiable design aims for an acoustically excellent building, and then to produce a detailed design to achieve these aims. Particular acoustic challenges included the design of a natural ventilation scheme for the teaching wing despite relatively high external noise levels, acoustic design of the Atrium and Lecture Theatre within a very demanding architectural concept, noise levels in the heavily-serviced research areas, and designing for excellence on a very limited budget. 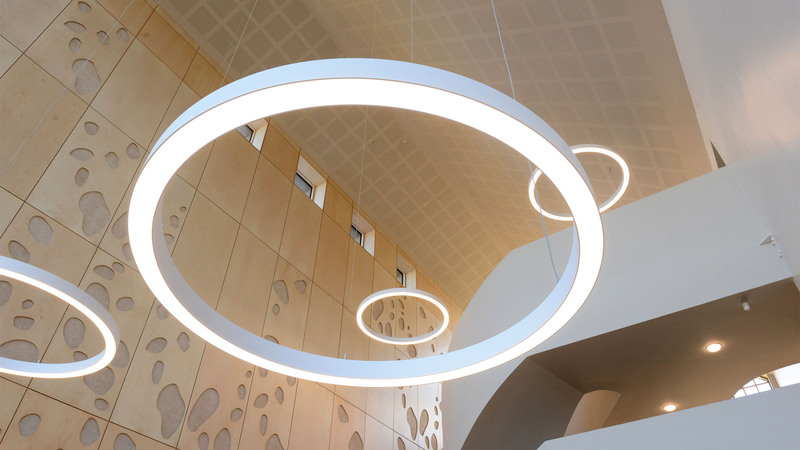 The project received a commendation at the 2016 ANC Acoustic Awards in the Architectural Acoustics: Educational Buildings category. The judges liked “the way the acousticians had picked up the brief and set their own agenda convincing other parties of the importance of acoustic features that might otherwise have been value engineered out of the final building.” The project has also won a RIBA East Award and a RIBA National Award.